This super easy kimchi pancake is crispy on the outside and chewy and flavor-packed on the inside thanks to spicy fermented kimchi, scallions and squid. Serve these savory Korean pancakes with my sweet and sour dipping sauce. Another major snowstorm (Blizzard of 2010) is paralyzing many states along the East Coast of the U.S. I have already been snowed in for a few days, and it does not seem like it will end anytime soon. So since there is nothing I can do about it, I decided to enjoy it by staying warm inside and doing the things I love. Cooking is at the top of the list. I’ve been making and eating so much food that it’s almost embarrassing to talk about it. But my poor husband who’s been out shovelling the never-ending amount of snow appreciated all the comforting and warming food I made. 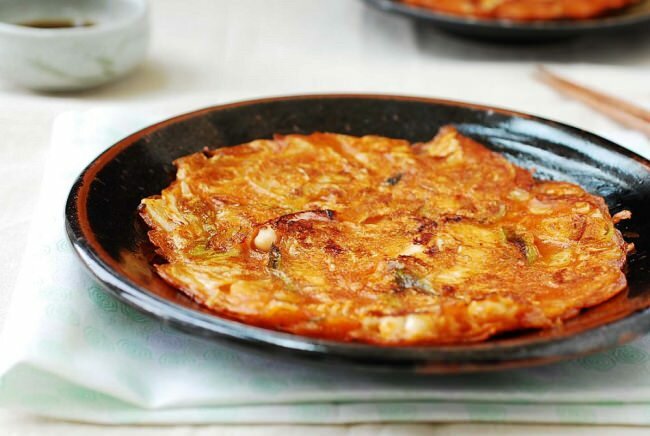 On a rainy or cold snow day, Koreans like to make some sort of jeon (savory pancakes) for a snack, and kimchi pancakes aka. kimchi jeon is a popular choice. So crispy pancakes served piping hot with a homemade pancake sauce were one of many things I made in the last few days. I had previously posted this kimchi jeon recipe as a supplement to the seafood scallion pancake recipe, but I decided that this popular Korean snack/appetizer deserved its own spotlight. 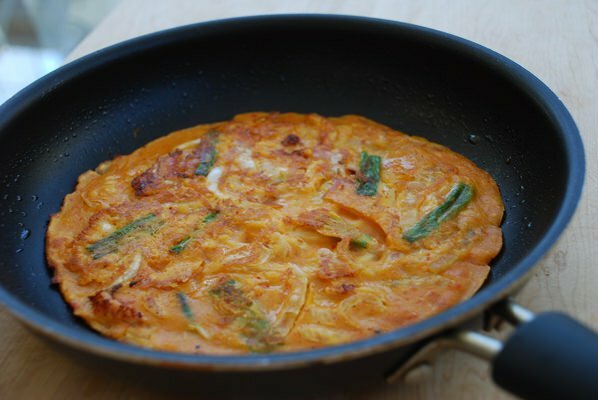 A traditional Korean Kimchi pancake is made from a simple batter of kimchi, scallions, salt, and water fried to a crispy pancake in the skillet and served with a dipping sauce. If you have nicely fermented kimchi and a bag of flour, you could make this popular snack in no time. The flavor-packed sour kimchi does a wonder when it’s fried in a simple batter. Everything else is nice to have, but not necessary. Here, I added sweet rice powder to give a little bit of elastic texture to the kimchi pancakes. The juice from the kimchi is a must. It gives the pancake batter its distinct flavor and a nice orange hue. The chewy squid lends a nice textural contrast to the crunchy kimchi. For a slightly spicier kimchi pancake, add a spoonful of gochujang (Korean red chili pepper paste) to the batter. Enjoy these crispy kimchi pancakes piping hot as a snack, appetizer, or a light meal – it will be a delicious treat! Make sure not to overmix the pancake batter to allow for a light texture. Use ripe, well-fermented kimchi for this kimchi pancake recipe to get best results. The addition of rice flour transforms the pancake batter into a lighter, crispy pancake so don’t skip the rice flour if at all possible. All-purpose flour alone leads to a mushy, gooey pancake. 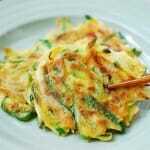 For a milder kimchi pancake, halve the amount of gochujang. If you’re not a fan of squid, just swap it for shrimp or skip the seafood altogether. 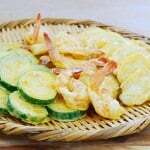 How do you make Korean pancake dipping sauce? Add soy sauce, rice vinegar, water, and sugar or honey in a bowl. Mix well till the liquids have blended, and stir in the crushed chili peppers, black pepper and (optional) sesame seeds. Mix well and serve! What is Korean sweet rice flour and how is it different from rice flour? 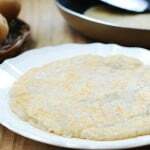 Sweet rice flour is used to make various Korean doughs and batter. Sweet rice, although it’s also called glutinous rice, does not contain any dietary gluten. The name “glutinous” comes from its characteristic of being very sticky or glue-like. Don’t let the fact that it’s called “sweet” rice throw you off. Its flavor is mild and really not at all sugary sweet. You often find this Asian flour labelled as mochiko in Asian groceries. 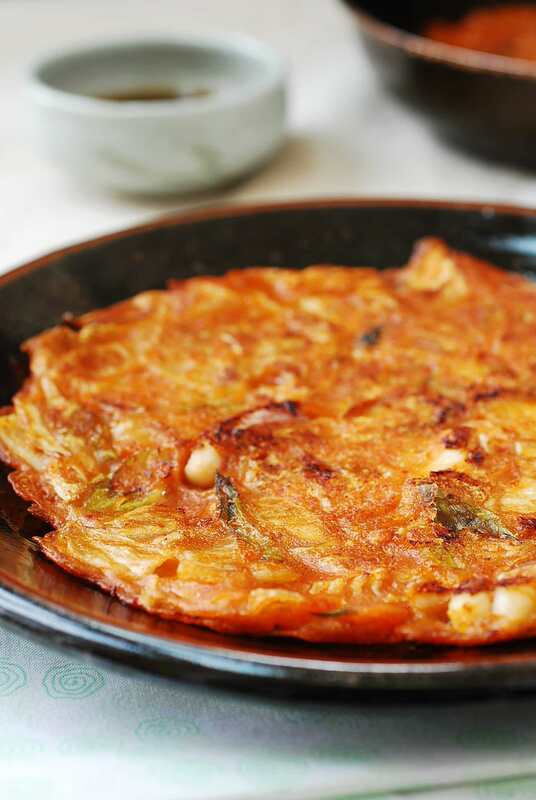 Did you make and love this kimchi pancake recipe? Please rate the recipe below by either clicking the stars or with a comment! And make sure to share your creations by tagging me on Instagram! Stay in touch by following me on Pinterest, Twitter, Facebook, and Instagram. These super easy kimchi pancakes are crispy on the outside and chewy and flavor-packed on the inside thanks to spicy fermented kimchi, scallions and squid. Serve these savory Korean pancakes with my sweet and sour dipping sauce. Prepare all the ingredients before making the batter. In a large bowl, mix the flour (or pancake mix) with the next 5 ingredients. Do not overmix. Stir in the kimchi, scallions, onion and squid. Heat one tablespoon of oil in a non-stick pan over medium heat. Ladle the mixture into the pan, and spread it evenly into a thin round shape. Cook until the edges turn light golden brown, about 3 minutes. Reduce the heat to medium-low if the pancake browns too quickly. Turn it over, adding more oil, and press it down with a spatula. Cook until the other side is light golden brown, about 3 minutes. Repeat the process until there is no remaining batter. Serve hot with a dipping sauce, if desired. Thanks for visiting! Hope you try it. It’s really easy. 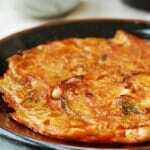 Thank you for posting the delicious kimchi pancake recipe. We just finished eating them. I look forward to trying some of the others on your blog. You’re welcome! I am glad you liked it. Please let me know how they turn out if you try some of the others. Thank you for visiting and trying my recipes. Hello Hyosun. I have tried a few recipes for Kimchi Jeon and I have found yours to be the best so far! Thanks! Hyosun this was simple and absolutely delicious. I had a jar of kimchee to use up and I stumbled across your blog. I plan to be back to try out a lot of your other recipes as well. I may not be Korean or even been to Korea but there is something so delicious and comforting about Korean food. Thank you, Molly! I am so happy to hear you liked it. There are many recipes you can make with that old kimchi. 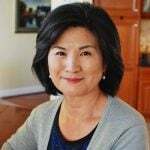 Look forward to hearing more about your Korean cooking! Mrs. Ro, your recipes look delicious. Should I use the frozen rice flour in the kimchi jeon recipe (the type used for making songpyeon) or the rice flour that is just found in a box or bag on the store shelf? (I usually use Mochiko brand when I need sweet rice flour.) Thanks for your advice! Thanks! Mochico is fine, which is sweet rice. Rice flour should be okay as well. Enjoy! 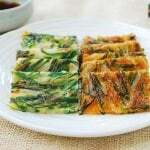 Kimchi jeon is one of my favorite Korean snacks. I tried this recipe and the pancakes came out great! I put it on my blog as well, so your recipe is now available in Polish 🙂 Thank you, Hyosun, and best regards! I just purchased some fresh-made kimchi from a restaurant. How long does kimchi takes to be fully fermented? If you kept it out at room temperature for a day or two, it will take a couple of weeks in the fridge. Thanks. Can you make this batter ahead of time? Angie – Sorry for the late reply! I wouldn’t recommend it. Too much gluten would develop over time, and the resulting pancake could turn out sticky not crispy. It’s best made right before cooking. Enjoy! Your recipes are perfect! Just like my mom’s cooking 🙂 She is very proud of me now because I used to not be able to make bap, haha! 감사합니다 !! Aww that’s nice! I’m proud of you too. Thanks for the nice comments!! Is it possible to make this ahead of time n then toast it prior to eating? Thanks! Yes, you can heat it up in a pan over low heat (or toast it). You don’t need to use more oil. What flour can I use instead of normal flour if I want to make it gf? 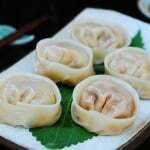 Can I use rice flour? Would I be able to make this ahead of time and freeze it and thaw/heat up prior to eating, or is this something that shouldn’t be frozen? It should be okay to freeze.